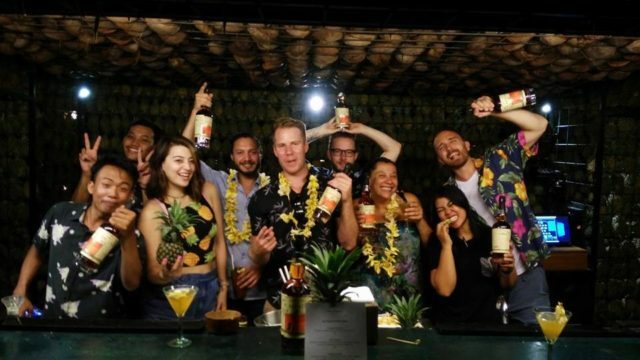 Asia’s leading independent spirits company, Proof & Company has made an investment in one of Australia’s fastest growing craft spirits distributors, Neat Spirits. Given Australia is currently one of the largest and fastest growing premium spirits markets, the partnership gives Proof & Company the ability to firmly establish themselves and solidify their positioning in the Asia-Pacific region. With the investment, Proof & Company has acquired a significant minority interest in Neat Spirits and a seat on the Neat Spirits board. Proof & Company will also provide Neat Spirits with an inventory financing facility to allow the company to expands its portfolio of brands and enhance brand development. Paul Gabie, CEO and Co-Founder of Proof & Company said, “We have had the pleasure of working informally with Neat Spirits and its team, led by co-founder Dan Walker, for three years now. Over that time, it has become clear that our companies share both values and vision. This investment will allow our teams to collaborate formally and strategically across the entire Asia-Pacific region. Both Proof & Co. and Neat Spirits both formed in 2012 and share distribution of a number of brands including Maison Ferrand’s Citadelle Gin, Plantation Rums, and Pierre Ferrand Cognacs, as well as Mancino Vermouth and Los Danzantes Mezcal. The collaboration will now offer select spirit brands a single distribution platform across the Asia-Pacific. The two companies currently offer distribution to in a number of countries including Australia, Singapore, Hong Kong, Macau, China, Malaysia, Thailand, and Cambodia.